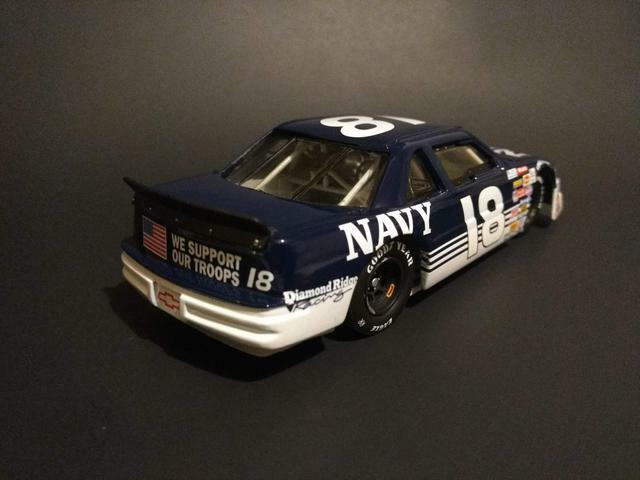 what can i say...it's a 28 year old diecast...the glass was wonky...the interior is wonky...the tires (which are still in awesome shape and will probably end up on another car) were wonky and too small. i will update with more pics when i get it mounted up in the display case. Good job! It's always very odd to me that something can come apart reasonably well and then refuse to go back together. Great job sticking to it. 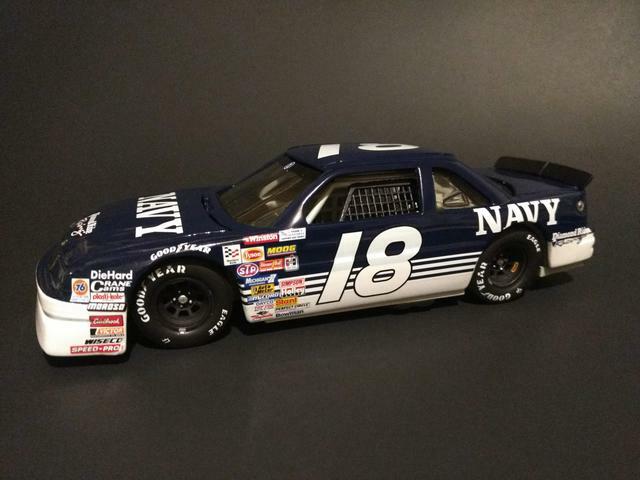 Is that one of those Revell or Sports Image diecasts? 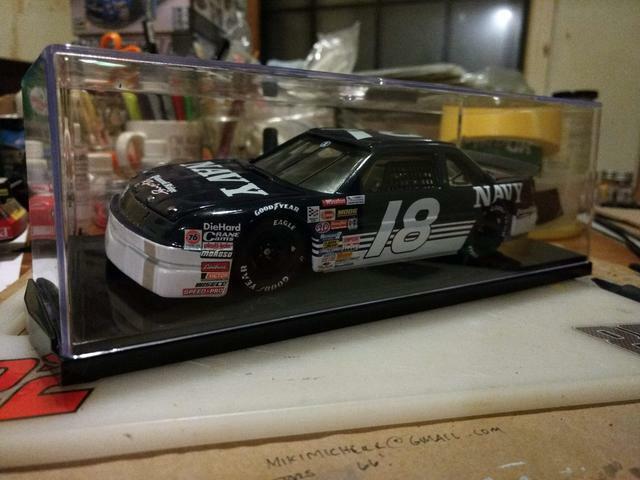 I have one for Dale Sr.'s '94 Lumina. They're not the most sophisticated diecast models, but the crazy thing is that this brand has a fairly accurate body at the back end. Seeing this encourages me to maybe pick up a couple of extras. The much more detailed Action/Lionel Luminas all have weird quirks with their body design. The back bumper is hiked up higher than a can-can girl's skirt and there's a sort of 'scalloped' finish on the front air dam that I've never seen on any race car from the early '90s. Any pics available of the 'package tray'? nothing special...i cut it out of a post office plastic mail divider thing that was left in my mailbox...i actually just eyeballed it...rough cut it...then trimmed it to "fit". 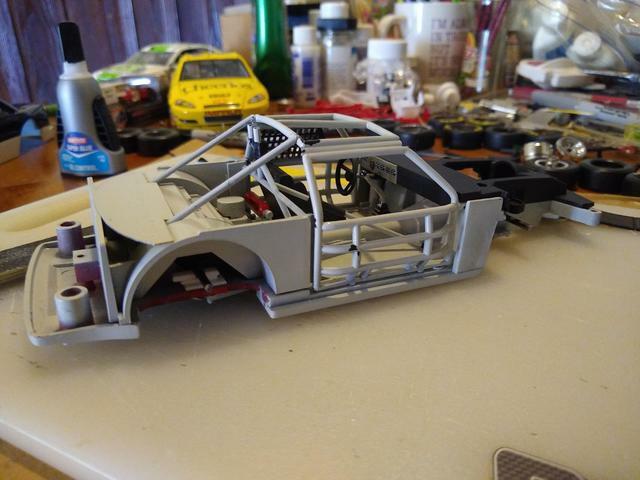 this was a Racing Champions car...i think...i should know...i've had it upside down to unscrew the body 20 times. 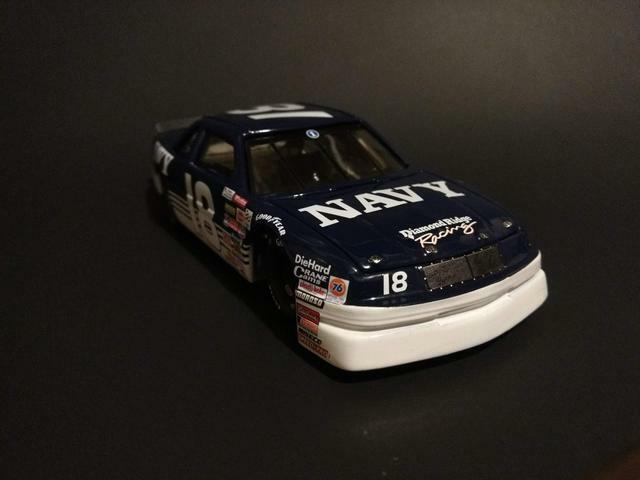 i thought about using a "newer" piece as a donor...but my ocd was like "you can't put '91 decals on a '92...'93...body." Great job ! Whatever happened to Greg Sacks anyhow? 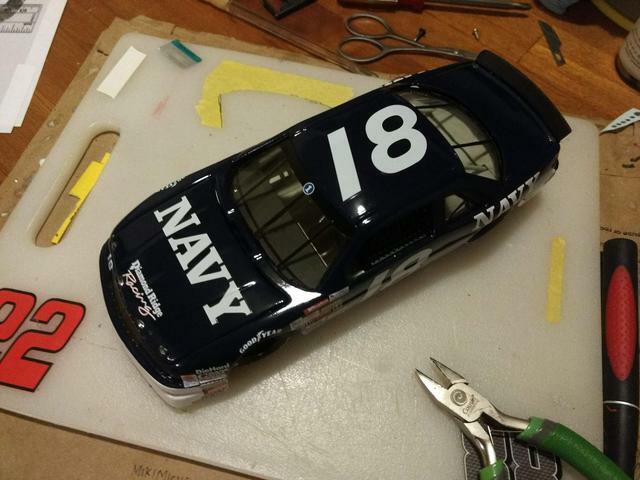 There's so many cheap NASCAR diecast on Craigslist around here maybe I need to start checking some of them out. This thing looks really neat, the only problem I have with diecast it's how thick they look around the wheel wells but I haven't been using my Dremel tool much lately and it's getting lonely. 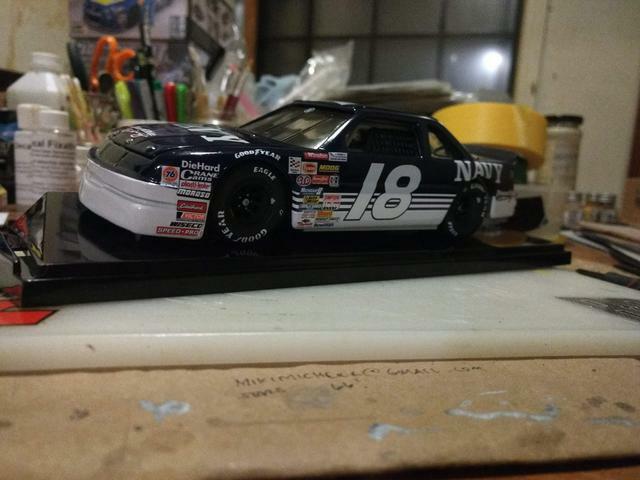 I always thought the Revell 92 T-Bird diecast was the sharpest out of all that body style. The AMT and monogram kits don't really thrill me.